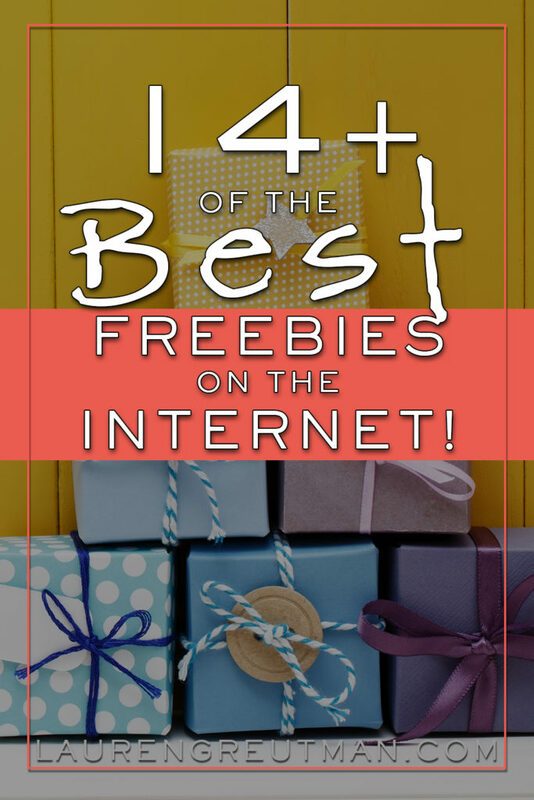 The Best Freebies on the Web - gift boxes, gift cards, meal plans, samples and lots more! Who doesn't love free stuff? 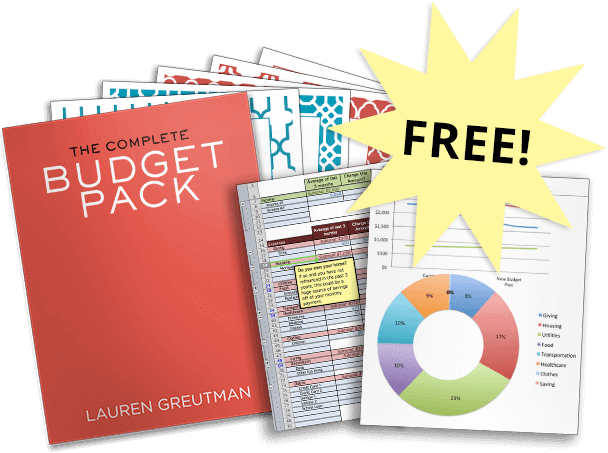 When it comes to Enjoying Life on a Budget, sometimes some free stuff can really help! I've compiled a list of some of the best internet freebies I could find. If you're just looking to give up your name and email address in exchange for a thimble-full of shampoo that's not what these freebies are. I only included the internet freebies that I thought had the best value, meaning, the ones that I felt gave you the most for the least amount of effort (or information) in return. So here we go! This was just too cute and fun to pass up! What a great activity for the kids! The National Wildlife Federation is giving away free Butterfly Garden Starter Kits to those who pledge to be “butterfly heroes”. You pledge simply by uploading a picture of yourself making the American Sign Language sign for “butterfly”. They'll send you the Free seed kit in the mail and they even have instructions on how to plant the garden. They open and close the pledge period at different times, so if it isn't currently running, just check back. They are all slightly different in how they work, but basically, sign up by answering a few questions about yourself. The answers to these questions help determine what samples you get sent. Then you'll receive a box of around 6-7 free samples in the mail. You'll have to share your opinions on the products after you've used them. Your review of the sample box typically signs you up to receive the next sample box. Many people forget that two of the perks of being an Amazon Prime Member are access to Kindle Books and Music at no extra charge. I know this isn't technically “free” because you are paying for Amazon Prime, but most people stop at the free two-day shipping. Make that Prime membership work for you! Take advantage of all those free Kindle Books and Music! If you have the Amazon Music app on your phone, you can even download Prime music to your device so that you won't have to use data to listen! I have a FREE Meal Plan I want to give you! We love meal plans because they save me so much time and money. This is a smaller version of one of my larger meal plans, just to introduce you to the process, get your feet wet, and so you can see what all the hubbub is about. Give it a shot! It'll be worth it! Since I've given you a free meal plan, here's a little something to go along with it! FreezerLabels.net will give you a free sample of their Freezer Labels. The thing that makes these different is the adhesive. Unlike normal labels, theirs are designed to remain sticky at sub-freezing temps and not fall off. Use them on your Meal Plan freezer bags, or anything else you'll be freezing! You can even put them in the printer! Click Here for your free Freezer Labels, and just select the “I want to print the labels myself” option to get blank labels. This could be embarrassingly fun! Over at ClassMates.com they have the largest directory of digital yearbooks. Their focus is using the site as a way to reconnect with old classmates, but in any case, it's free! See if they have your old high school yearbook, or just look through some random ones for a little entertainment. Better yet, make up a game! I know this one is kind of boring, but it is really helpful. Credit Sesame will let you know what your credit score is and give you some insight into what is impacting your credit score. It's completely free, it doesn't hurt your credit, and you don't have to give them your credit card info! Click HERE to get your free Credit Score. If you're looking for a way to make extra money, joining a few survey sites could be right up your ally! Take a few surveys at night when you're relaxing on the couch and rack up some free money! Here's a list of 10 Survey Sites you can check out. But my favorites are – Opinion Outpost, Harris Poll, and the National Consumer Panel. This is pretty cool. If your mobile phone provider is AT&T and you also decided to switch to DirecTV Now, you can stream whatever shows and movies you want in the DirecTV Now app, and it won't count against your data limit. So, if you're on a long car trip or something, you can stream as much as you want without worrying about your cell phone data limit. Here's some more info on DirecTV Now and a Channel list. 11. Free food on your Birthday! Happy Birthday to you! 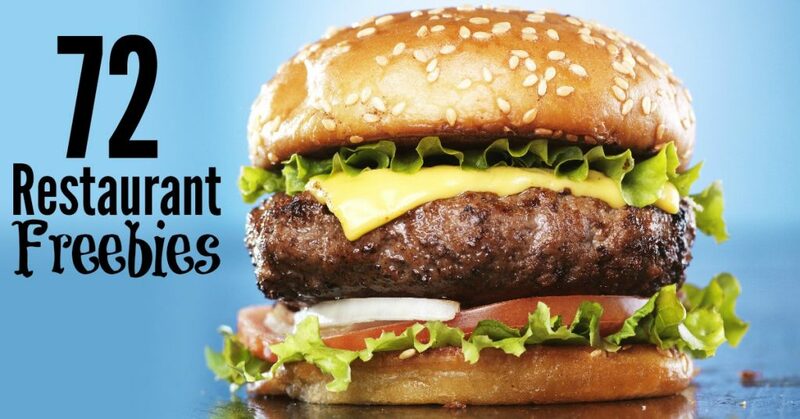 Here's a list of 72 restaurants that give you a free birthday meal! For the sake of your inbox, I recommend making a new email address that you use for all of these sign ups. Then, when your birthday gets close, pick which restaurant you want to go to, and celebrate! Swagbucks is an awesome way to earn points towards free gift cards and rewards. Especially because you can earn the free gift cards without buying anything extra. Just use their shopping portal, take some surveys, and/or play some games on their site if you want, and everything gives you points that you can redeem for Gift Cards or other freebies. Swagbucks isn't the only way to get some internet freebies. Here's a list of some other ways to earn extra cash on stuff you were already buying. Ebates will even give you a FREE $10 gift card on your first purchase of $25 or more through their portal! A Home Essentials bundle with a trial size of 5 natural, safe personal care & home cleaning essentials. I love all your posts, information, advice! Thank you for all the work and time you put into finding the best deals! I tried to look at yearbooks for my mom (her yearbooks got lost in a move years ago), but after it asked for her information, it wouldn’t let me have access to any yearbooks unless I paid first. Did something change? Granted, it was a minimal amount they were asking for, but payday isn’t until Friday. Is there a way to look at the yearbooks for free that I’m missing?